Cheryl is the ultimate experienced professional and goes above and beyond to ensure her clients are happy. I have sold and bought several homes with her and she works relentlessly to find and negotiate the best opportunity for her clients. She cares about her clients not just during the sale but after they have longed moved in to their home. Her professionalism, dedication, and knowledge of the business make her one of the best realtors around…….. Thank you for your help with our corporate relocation from San Antonio, Texas back to Orange County. It was a pleasure working with you again. I truly appreciate your hard work in assisting us with finding a home that met our extensive list of requirements. I appreciate your professionalism and dedication during a very stressful time for my family. Cheryl Newton has been my Realtor since I bought my house in Floral Park, Santa Ana in 1994. Most recently she sold my townhome in Ladera Ranch and diverted a foreclosure, got it approved in the nick of time with my bank, Wells Fargo and was able to negotiate a low payoff of my Home Equity Line of Credit allowing me to actually get money out of the sale. (Unheard of at the time with Short Sales all around.) She pulled from her vast contacts and sold it — all of this took place in two weeks! She is totally professional, very knowledgeable about her industry, returns calls and makes time for you. And, you’ll have a friend for life! You cannot do better than Cheryl Newton! She is so amazing – found the PERFECT home for us and then proceeded to negotiate a price we could afford. She helped us navigate the complicated process of buying a home for the first time – soothed our concerns during stressful times and celebrated with us at the end! I recommend her to everyone I know who is thinking of buying or selling a home. You will NOT be disappointed! She’s the BEST!……..
Cheryl Newton was a pleasure to work with. She is very knowledgeable about the real estate market and always kept you in the know about the selling process. She always thoroughly explained the details and steps involved every part of the way. Cheryl looked out for you and helped make selling your home as smooth a transition in your life as possible. We are very glad to have had Cheryl as our agent!!….. Cheryl helped me negotiated a short sale and walked me through the process. She honored my request to not put a sign in my yard due to nosy neighbors and the sensitivity of the issue. She was very respectful to me and my family. I would recommend Cheryl to anyone looking to buy or sell a home……. Our experience with Cheryl was very positive and we would highly recommend her to anyone buying a home. We were relocating to south Orange County (RSM) from Northern California and she was so helpful as a guide to the area. Her honesty and genuine nature put us at ease. As an agent she was very……..
We have used Cheryl Newton for 3 separate homes and have always done very well with her expertise in Real Estate. Her knowledge of the areas in all of Orange County helped us make the right decisions. She is a true professional and knows how to negotiate so all parties are happy. Other members of our family have also hired Cheryl and were impressed with her dedication to finding the right home. She is very understanding and takes the time with her clients to make sure they are comfortable with all decisions. If we ever move again, we will hire Cheryl……. I’ve had the pleasure of purchasing two properties with the help of Cheryl. She has also been my chosen professional in finding qualified and responsible tenants for my rental property. I’ve had two renters in the last ten years. Cheryl Newton is a great real estate agent. We have used her services to buy and sell our houses over the years. She is very professional and knowledgeable as well as a good negotiator. We would highly recommend her to anyone looking for an agent….. Thank you for all of the kind and helpful things you did to help sell my home. It will be my pleasure to recommend you to friends or family searching for homes in Orange County. I wanted to express my sincere appreciation to you for assisting me with my relocation from Boston, Massachusetts, to Irvine. Being transferred is always a time in a person’s life; however, your understanding of my personal requirements, both “needs” as well as “wants”, was absolutely right on target, and I could not have been more pleased with the professional service, support, and personal kindness you provided. Please be assured I have shared the wonderful experience I had of working with you – – as well as the 100% complete satisfaction I experienced — with the Human Resources Department of my company, and highly recommended to them that they share your name and phone number with all personnel transferring to this area. We have known Cheryl for over 18 years and keep coming back to her for real estate needs. When buying our home, we liked her no-pressure approach to house hunting and she found the best choice for us, and we’ve been here 19 yrs and still love it. When we wanted to rent our condo, she helped advise us on doing credit checks. When my mom moved here recently, she worked hard to get us the right property despite multiple offers (some cash!) and my moms condo is lovely and has increased greatly in value the last 2 years. I would highly recommend Cheryl for any of your real estate needs. She’s responsive, a great negotiator and when she finds the right house for you, she doesn’t let it slip away during the offer period……. I want to thank you for the outstanding job you did in finding us a home when we moved back to Orange County from Visalia. Linda and I were impressed with your extensive knowledge of the area and real estate expertise, which made the selection process so much easier for us. Your exceptional efficiency made the purchase of our house in Coto de Caza a very smooth and positive experience. Cheryl is a top notch real estate professional who should be part of your team whether you are buying or selling! Her depth of experience, prompt responses, hard work and expertise puts you in complete control of the whole buying process. Imagine having an all-star player in your team that you can always count on! Most importantly, Cheryl is a warm, kind and honest person who has the heart of a teacher. We had SO MANY questions (and “what-if” scenarios!) that she masterfully guided us through We are sure to use her for any of our future real estate needs… very highly recommended!! Thank you for helping to facilitate one of the most tranquil moves we have ever had the pleasure to recall. Thank you for connecting us with Cheryl Newton, who made all the difference in our experience. Cheryl aggressively took to the task of finding us an ideal home here in Southern California. I believe even the most professional agents would have considered much of their task completed at this point. This was anything but the final stage of Cheryl’s assistance and service. Without going into details, let me sum her total committment by simply stating Cheryl did more to smooth our transition than than 3 best friends, 2 psychiatric counselors, 2 lawyers, 5 financial consultants, 10 administrative and….throw in a couple shoulders to cry on….could ever have dreamed to achieve. I do not take lightly the comments I have just made. If I were ever to construct an executive staff in my business, I would make every effort to place Cheryl on the team. There are very few individuals who have ever provided the level of service we experienced with Cheryl. She simply surpassed every level of expectation we dreamed possible. 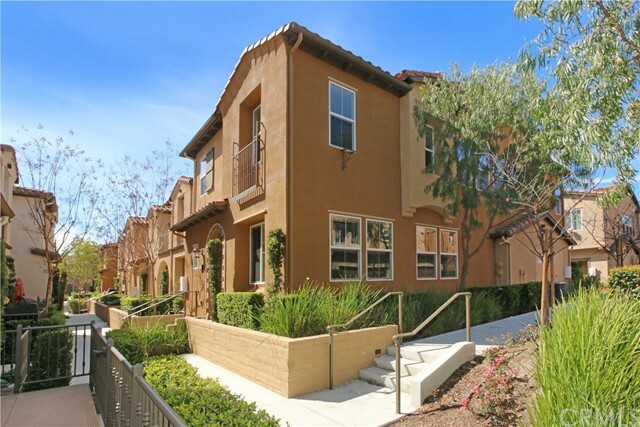 We want to let you know how happy we are with the new home you found for us in Mission Viejo. You did a wonderful job listening to what we thought we wanted and what we thought we could afford to spend, and then selecting homes for us to view that were very similar to what we had in mind. We were particularly impressed with the way you managed to work so well with us while we were all the way up in Alaska. We appreciate your finding time to show Bill around for a couple of days when he came down for a job interview trip. And, of course, we appreciate all the time and expense you devoted to us so we could close our deal in such a short time. The acquisition of the house and our move went perfectly and we met our goal. If our eyes, you are the best! Thanks a Million. You did a wonderful job for us! After working with many dishonest agents, Cheryl is the only one I can trust. She is very professional and honest agent that I will definitely recommend to anyone. I selected Cheryl Newton to sell our home in Mission Viejo Canyon Crest after our previous listing agreement had expired. My wife and I both agree that Cheryl is a true professional and a hard working Realtor and Broker. Together with Cheryl, we were able to sell our home, via short sale approval, within 5 weeks. Prior to Cheryl listing the home, it had been on the market several months. 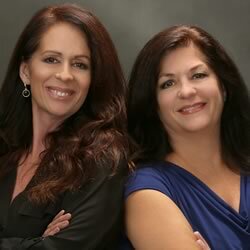 The team of Cheryl and Linda provided us with a committed duo that produced results. I worked with Cheryl when I relocated here from Pennsylvania. Cheryl was by far the most professional and qualified agent with which I have ever worked. Due to her knowledge of the real estate market in a wide geographical area, her organizational skills, her understanding of my requirements, and her supportive nature in the overall relocation process, I was able to find the home that met my family’s and my needs. Her advice in the face of dramatic changes in California market conditions also helped to save me significant sums of money. This fact not only speaks to her knowledge and customer focus, it also speaks to her high integrity levels as her income is based upon a percentage of the sale. Cheryl and Linda go above and beyond! Our home buying process was a challenge and Cheryl was with us every step of the way. She will do whatever it takes to get you in to the home of your dreams. I wouldn’t recommend anyone but them! We want to express our heartfelt appreciation for Cheryl and Linda. My husband Bob and I, and our two young daughters, moved from Michigan three years ago as part of a company transfer. Cheryl was assigned as our “relocation Realtor”. From the very beginning, Cheryl had worked extremely hard to help us acclimate to our new surroundings, and sent countless hours showing us homes, preparing data, and researching South County fo find homes that would suit our tastes and budget. That, in itself, was not an easy task, as Bob and I had moved from a new home, one a one acre lot, that cost a lot less money than what we were finding here. We were experiencing “sticker shock” for sure, and so it was difficult for Cheryl to help us meet our expectations with property we felt we could afford. Nonetheless, she worked incredibly hard with always a professional and positive attitude, and made the task enjoyable even with our two young children in tow. We finally did find a house to buy in and Cheryl handled the transaction efficiently and with ease. In fact, we were so pleased with Cheryl that we didn’t think twice about calling her when we decided to sell that very home and buy a new home in Coto de Caza. Now, I wouldn’t have blamed Cheryl for running for the hills when she heard (we) her most particular clients were interested in utilizing her services again, but you wouldn’t have known it if she did feel that way. Again, she worked doggedly hard along with her sister, Linda Caddick, to market our Mission Viejo home. She always gave us only her most professional advice and fully understood the position we were in. We were and still are immensely amazed and gratified at how generous Cheryl has been with her time and resources. We regard Cheryl as not only a top notch professional, but a true friend as well. I am not exaggerating when I say that she herself helped ease our transition of moving from one side of the country to another, as she made us realize that there are committed and wonderful people wherever you go. Cheryl came recommended by a friend and she helped us in every way to find our dream home. We have known her since 2010 and I forget the number of times she drove us around for checking out listings. It took around 3 months of almost daily interactions and never once did she drop the ball. She is untiring in her efforts, super professional and always always responsive. She gave us excellent advice and she did everything to earn our trust. There was a time when I was warming up to a good listing in a not so good neighborhood and Cheryl pointed out the future impact of such a purchase. When the right property came along, she went for it. When the deal was closed she gave us such thoughtful gifts, gifts that we still value and use. Going above and beyond is normal for Cheryl. Writing a review of a realtor as impressive as Cheryl is no easy task (especially for one who abhors writing reviews). Perhaps it’s best that I preface what follows with a capsule that should, hopefully, convey more than what an avalanche of compliments can: Ms Cheryl Newton walked into our home a stranger; to this day she remains a dear friend. Cheryl is much more than a ‘realtor’; she’s a veritable one-person tour de force of knowledge, experience, and efficiency, yet her salient strength remains her kind and caring nature, her humanity, and her heart. Should you like to know more about our indelibly memorable real estate sales experience with Cheryl, please read on. My wife and I first met Cheryl some years ago when our aging neighbor, nervous about signing some lease documents, asked my wife and me if we would accompany her to meet with the other party’s agent. So we went along for no other reason than to lend our neighbor a touch of moral support. Cheryl was that agent. So impressed were we with the gentle yet professional manner in which Cheryl dealt with this dear old lady — who wasn’t even her client — that when we drove back home that day my wife and I unanimously concurred: If/when we decide to sell our home, Cheryl Newton would be the lady who’d be doing the selling. I held onto Cheryl’s card for over three years, and when we decided to sell our home in Orange County last year so we could relocate to North Carolina, the first call I made was to Cheryl Newton. Cheryl breezed into our home one morning and with the patience of an angel walked us through the entire daunting process, step by step, allaying our concerns and reassuring us that all would be well. To this day I cannot imagine a sale that could possibly have gone more smoothly. Cheryl took care of absolutely EVERYTHING. Our home was sold in less than a month. But Cheryl wasn’t finished yet. In fact, it occurred to us much later that that’s when her real work began — long after she’d picked up her commission check and had absolutely nothing left to gain from us. Cheryl then helped us with the whole hassle of relocating across country. She introduced us to movers, and would unfailingly call us at least twice a week to ensure all was well and that our move was on track, constantly inquiring if she could be of help in any way. But her job still wasn’t done. You see, we still needed to purchase a new home in Charlotte. Yup, good ol’ Cheryl to the rescue again! She vetted several Berkshire-Hathaway realtors in NC so we would have a choice. And again, she’d continue to call us every few days to see how the house-hunt was going. To put all this succinctly: I have never encountered a more consummately efficient, caring and kindly sales professional than Cheryl. So impressed were my wife and I that we‘ve been thinking of writing Berkshire-Hathaway and offering them a piece of unsolicited advice: clone Cheryl Newton, and parachute a facsimile into every B-H office across the country! If any of what’s written above strikes the reader as hyperbole, rest assured it is not. It’s purely an authentic, heartfelt testament to the finest sales professional I’ve encountered in my 65 years. It seems Cheryl’s job isn’t quite done yet: apart from the beautiful gift she gave us upon closing our sale, here arrives this Fedex package last Christmas Eve at our new home in Charlotte. It was another lovely present from Cheryl…a beautiful set of electric candles and a lovely woolen throw to keep us snuggled-up and warm during the Carolina winters. Wonders never cease. If this is how she treats her former clients (mere ships passing in the night), I cannot imagine the love and largesse this lovely lady must shower upon those in her personal orbit. Thank you, Cheryl. You are absolutely THE BEST!